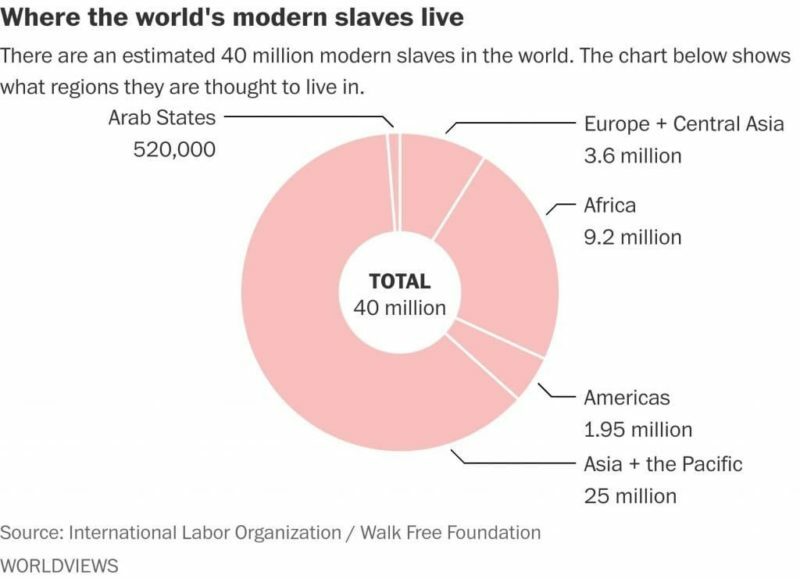 Research conducted by the International Labour Organization and the Walk Free Foundation reveals that currently, there are likely over 40 million people in slavery-like conditions worldwide. An estimated 25 million of these are in the Asia Pacific, and over 28 million are women and girls. One in four are under the age of 18. A considerable majority (64%) of those are in the private economy (domestic workers, construction, and manufacturing) which again highlights the need for Australian individuals and businesses to consider their possible connections through international supply chains. The Committee gives in-principle support for developing a Modern Slavery Act in Australia, including mandatory supply chain reporting requirements for companies, businesses, organisations and governments and an Independent Anti-Slavery Commissioner. The Committee notes that it will consider other elements of a potential Modern Slavery Act in its final report, including prevention measures, support for victims, improvements to Australia’s visa regime and prevention of orphanage tourism, as well as other recommended changes to Australian law, policy and practices to combat modern slavery. ICS’ submission to the inquiry can be found here.